It is always a great deal having a quality product without compensating the balance of wallet. 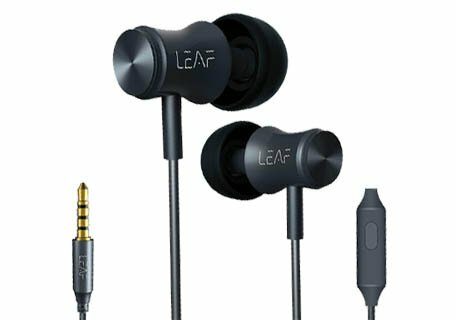 Leaf Bolt comes with innovative inbuilt technology that amplifies the audio and tunes it according to the choice of user. you can feel the deepest details of music offering experience of a live concert straight in your ears. Let's find something more about this amazing headphones. The high definition audio device made for an immersive music experience. specially designed to bring the energy, emotion, and excitement of the recording studio straight into the ears where you can catch the smallest of the beats in this inexpensive yet quality gadget. It delivers a powerful experience to pump you up for the day. With a frequency response of 20Hz-20kHz and sensitivity of 101 dB offers the deepest bass to highest treble from the 12mm driver. Metallic Earbuds with Premium leather finish wire gives an amazing feel, tuned to perfection makes you experience all music genres better than ever. Earphone has durable aerospace aluminum alloy body even after that it is very light in weight with only about 13 grams of weight. You need not to worry about the fitting as there are 3 different sized pairs of earbuds you can choose from. This device is compatible with iPhone, Android devices, and all the other devices with 3.5mm audio jack. Leaf Bolt also has an inbuilt mic, You can easily take calls with the single press of main control button. It has 1.2 meter long wire that is enough to reach the device in pocket of the pant. this wire is tangle-free so you will not face any problem regarding the tangling. It also comes with an inline remote to play/pause music, pick/reject calls and Siri/google assistant activation to put everything into place. Overall this product is good in the terms of quality and price point as well, You can check the current availability of this headphones. Is it recommended to use it for YouTube videos?